Some of the Earth’s greatest riders inspired the brand that now leads the industry in style and innovation. 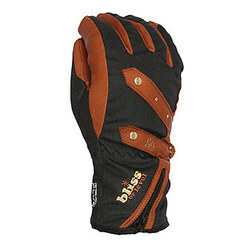 Advanced hand protection at every turn makes Level gloves true standout ski and snowboarding accessories. Of course, Level doesn’t think of their gloves as accessories. They know they are necessities. Driven by some of the most rad thrashers the mountain has ever witnessed, Level keeps the industry moving forward. Riders like Marco Feichtner, JP Auclair Aksel Lund Svindal, and Janni Korpi work closely with the Level design team to produce a product that will not just hold its own in the snow, but will actually enhance your entire shred experience. No Level glove is released until after it has been tested, tested, tested, tweaked, tested, tweaked, and tested some more. Only when the Level team and their riders are super pumped about a pair do they unleash it for the rest of the world to get their hands in. For example, the Level GB Women’s Gloves were designed for and by the one and only Gretchen Bleiler. Equally dedicated to comfort, durability, warmth, and style, this GB signature pair rocks an impressive blend of technologies and material. A Membra-therm Plus membrane ensures dryness, and PrimaLoft insulation refuses to let your paws get chilly. The outer shell is composed of rugged Pittard’s leather, performance herringbone fabric, and a reinforced palm all so that you can put these and all Level gloves through intense abuse from the rigors of riding and unlimited high fives. No matter what pair you choose to let your hands enjoy, Level is sure to load up each one with very specific performance features and tech. The Level gloves Protection Series rocks a patented Biomex system that is designed to deliver impressive wrist protection for snowboarders. Just for the ladies, the Bliss Line harnesses “Warmer for Women” tech that keeps feminine paws nice and toasty no matter how frigid conditions get. All Level gloves have been imagined, engineered, and constructed to keep the hands of skiers and snowboarders dryer, warmer, and all around more comfortable. Whatever your preferred method of paw protection is on the mountain, Level gloves has an ideal solution. If you like burly, rugged, long cuff gloves for those intense backcountry pow sessions, shorter, sleeker models for thrilling pipe runs, or puffy mittens for some serious groomer cruising, you are going to get pumped on Level gloves. Whenever you put your shred kit together, never forget to do your hands a solid. Get on the Level.